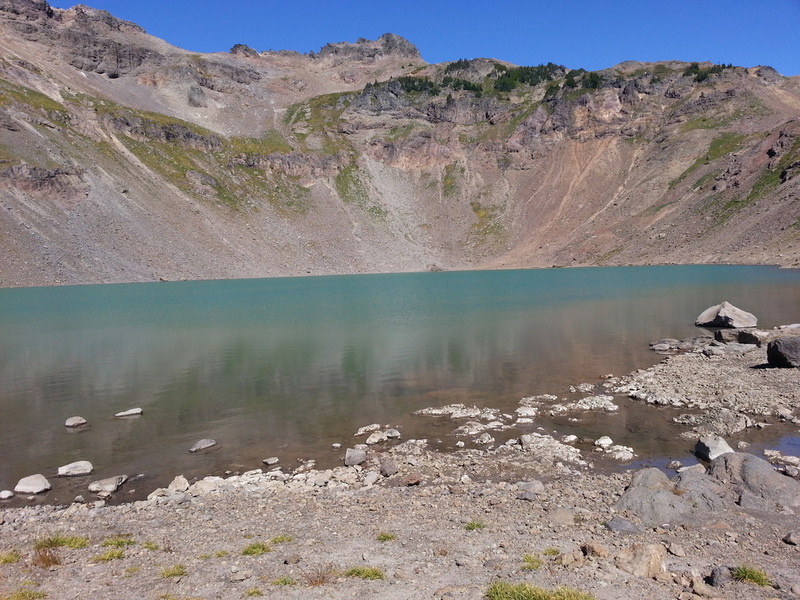 This is a loop hike to Goat Lake in the Goat Rocks Wilderness. 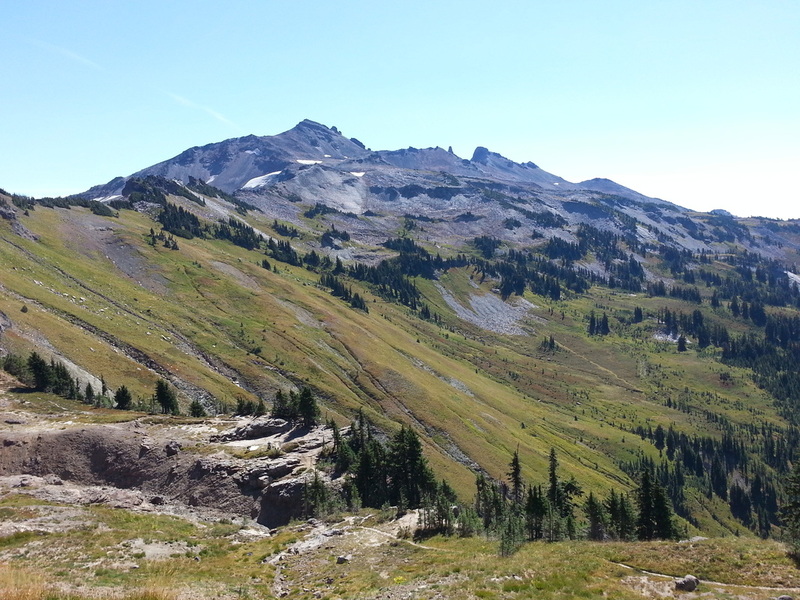 The first few miles of this trip proceed up through the forest, with glimpses of the Goat Rocks. 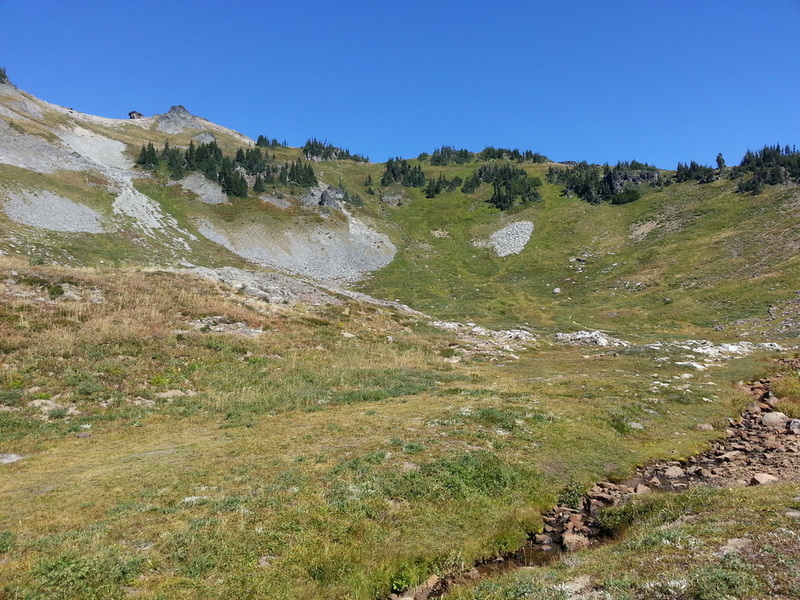 At Snowgrass Flats, head north into the wide expanse between Goat Rocks and Goat Ridge. The scenery is spectacular, providing an amazingly continuous panorama, with changing elevations and angles as the looping traverse is made across the open valley. The price for all this wonderment are the crowds, but justifiably so. Reaching Goat Lake, it can be strangely frozen into August. Top out at about 6,600' just past the lake, soak up more views, then descend through the inviting Jordan Basin, prior to dropping into the forest below. 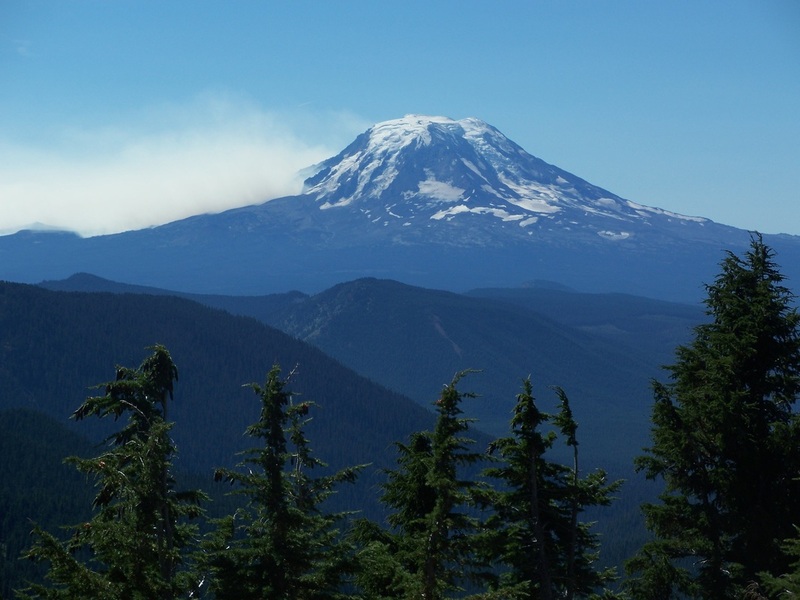 Can be a day hike, but camping is an option (see trail map). Best done weekdays, late summer through early fall. 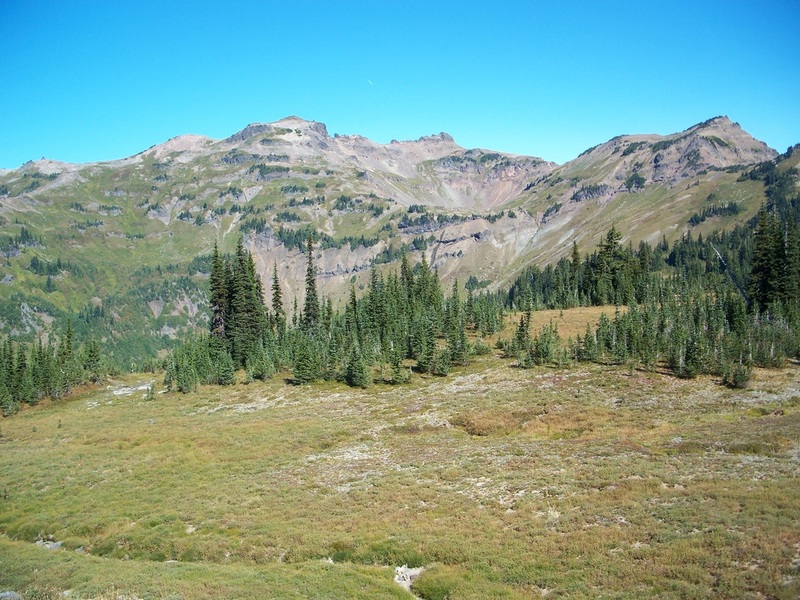 Northwest Forest Pass required for Berry Patch trailhead, but not Snowgrass trailhead.